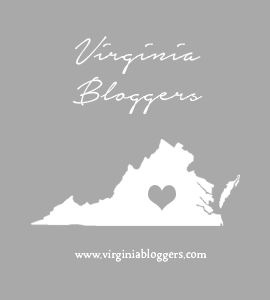 All the shopping happenings in and around Richmond, Virginia, you need to hit between now and the big gifting day. I’ll continue to update as I learn about more events for buying holiday gifts! Marco Style favorite events are denoted with a *. November 8-18, Tweed’s 15th Annual (choose your own day!) Holiday Open House! Choose one day, between Thursday, November 8th and Sunday, November 18th, and receive 15% off every purchase at Tweed. All you need to do is arrive ready to shop, and tell them at the register it is your day. In addition to 15% off, you will receive a free Scout Shopper Tote with any purchase over $25 and be entered to win one of many fabulous door prizes. The Broken Tulip, 9 a.m.-3 p.m.
Wares and offerings from carefully selected local and bio-regional vendors that focus on using natural materials, everyday wellness, and traditional foods. Shops at 5807, 10 a.m.-7:30 p.m.
Stop by The Shops at 5807 for holiday shopping. Mention you’re shopping for St. Bridget’s at the checkout and 10% of sales will go to the school. Hours are also extended. The reception will kick off the group exhibition and Quirk’s winter celebration. Visit The Mezzanine at Quirk Hotel throughout the season for a joyful abundance of work by the artists of Studio Two Three. All prints are editioned and ready to go home with you. Perk Bon Air, 6-8 p.m.
Join Hummingbird Gardens, Bon Air Naturals – Soap Company, The Wild Wander and Perk Bon Air to check out this year’s Bon Air Box and celebrate the season with a special champagne cocktail! Stop by all weekend for specials and treats. Friday 9:30 a.m.-6:30 p.m., Saturday 9:30 am.-6:00 p.m., Sunday 11:00 a.m.-5:00 p.m.
Stop in and see the store stocked for the holidays. Make a purchase that weekend and receive a free Mud Pie tote bag while supplies last. There will also be samplings of Shenandoah Spice Co party blends, and you can enter to win a Twelve Days of Christmas door prize. Richmond Raceway, Friday VIP Shopping Night 6-9 p.m., Saturday 9 a.m.-5 p.m.
Shop a gathering of some of the finest and unique vintage, shabby, rustic, coastal, French Country, industrial and Farmhouse chic dealers and artisans in the central eastern region. The Vintage Home Market is a hybrid event that combines the excitement of a flea market, the quality finds of antiques and barn shows, and talent of great artists all rolled into one. Main Street Station, Friday Patron’s Preview Party 6-9 p.m., Saturday 9:30-11 a.m. Rise and Shine Breakfast, 11 a.m.-6 p.m. general admission shopping, Sunday 11 a.m.-6 p.m.
Now in its 54th year, Craft + Design is a museum-quality show that has garnered a reputation for showcasing the finest in contemporary craft. Shoppers spend the weekend browsing the work of over 150 artists from across the country. Awards are presented in ceramics, precious metals, glass, wood and recycled materials, contemporary design, innovative use of traditional craft materials and fiber. There are also libations and food for sale to enjoy while you shop. Celebrate the holidays and the opening of RVANest’s Annual Art, Craft and Vintage Holiday Market featuring over 50 local artisans and craftspeople. Of course, you’ll also find lots of vintage and antique ornaments, holiday decor, and gifts. Shop crafts, a bake sale, and enter to win door prizes. Santa will be there, too. Shop the annual pre-holiday art walk and sale hosted in private Sherwood Park and Laburnum Park homes as well as the commons area of Ginter Place. All locations are within a three block walk of one another in a beautiful, historic section of Richmond’s North Side. Quirk Gallery, 10 a.m.-5 p.m.
Quirk Gallery is excited to welcome artists, Taylor Zarkades King and Hannah Shaban for a special trunk show event featuring some of their newest handmade pieces. King’s work will include graphic jewelry in lightweight aluminum and will be complemented by Shaban’s lovely ceramic tableware and decorative pieces. Red Poppy Pickin, 11 a.m.-6 p.m.
Shop the winter wonderland with thousands of new items hitting the floor. There will be handmade ornaments, soy candles, and gift ideas. You’ll also get to check out the shop’s new clothing line. Over 20 vendors will be offering crafts, art, jewelry, plants, apparel, tarot readings, herbal healing, magic craft supplies, vintage wear, housewares, plants and hand made botanical products! Lunch and Supper, 11 a.m.-4 p.m.
Sip Bloody Marys and mimosas, grab a breakfast biscuit and shop 18 local vendors at this fun event. In honor of Cider Week, there will also be a Courthouse Creek tap takeover with five ciders on tap. New Kent Winery, 11 a.m.-2 p.m.
Shop local produce and artisans with gifts. Whiskey Business will also be playing live music from 11 a.m.-4 p.m.
10854 Linderwood Drive, Mechanicsville, 12-6 p.m.
Shop clothing, jewelry, soaps, loose leaf teas, chocolate, art, and more. Vendors include Brave Boutique, Hanover Tea, Natural Soaps For You, Bunnies of Hope, Thirty One, Young Living, Norwex, Jeunesse global, Tupperware, Pampered Chef, LuLaRoe, Stella & Dot Jewelry, Raise Coffee, En Theos, LipSense, Damsel in Defense, Color Street and Sweet Jesus Potato Pie company. Chop Suey Books, Mon-Thurs 10 a.m. -7 p.m. / Fri-Sat 10 a.m. -8 p.m. / Sun 12-7 p.m.
Over 50 makers of sparkly, snuggly, gift-worthy goods will be featured in the upstairs gallery of Chop Suey Books for one month: This is always a great place to find gifts, from jewelry and scarves to handmade hot sauces and teas. Shop all local vendors while you sip a beer on Black Friday. Stop by for special sales and holiday festivities. Studio Two Three, 1-4 p.m. Enjoy an afternoon of tasty food and fun shopping. A portion of all proceeds will benefit Studio Two Three to further their mission of offering affordable studio access, art classes, education and outreach to the Richmond community. Bon Air Shopping Center at Buford Road and Forest Hill Avenue, 10 a.m.-3 p.m.
Shop a selection of vendors who create south of the James River. Think jewelry, paper flowers, ceramics, bath and body, leather, and more. Shops at 5807, 5-8 p.m.
Shop to support a survivor of domestic abuse. 10% of sales will go to the YWCA. Hours are also extended. Shops at 5807, 10 a.m.-7 p.m.
10% of sales will go to the Bon Secours. Hours are also extended. Richmond Raceway, Thursday-Saturday 10 a.m.-7 p.m., Sunday 10 a.m.-5 p.m.
Shop 475 exhibitors from all over the country. For over 42 years, the Bizarre Bazaar has brought seasonal gifts and decorative accessories for the home and garden, gourmet foods and cookbooks, fine linens, designer women’s and children’s clothing, toys, fine crafts, artwork, furniture, and jewelry for Richmond. Tickets cost $9. Stop by for happy hour and a pop-up shop with jeweler Kendra Scott in the Brookfield Lobby Bar. 20% of all sales will benefit VCU Massey Cancer Center. Happy Hour specials include $1 off bottled beer, $2 off draft, and $2 off select glasses of wine, plus a variety of food specials. Visual Arts Center of Richmond, 6-8 p.m.
B SIDE Collective’s next issue, Handmade, featuring local makers in RVA releases on November 30 at VisArts) from 6-8 PM. Pick up the new issue and connect with RVA’s maker community. Shop designs from 15 local vendors and enjoy food, drink, and music. Williams & Sherrill, 10 a.m.-4 p.m.
Get a jump start on your holiday gifting and decor, plus Santa is coming to the showroom! Shop over ten local vendors along with Williams & Sherrill’s fab selections, plus get a pic with Santa or write him a note at the letter-writing station. Virago was a Latin honorary term given to recognize exceptional women of character. The brand values may celebrate extraordinary qualities in all people; however, they are highlighting 10 local businesses owned by exceptional women at their first holiday market! 68 Broad Street Road, 10 a.m.-2 p.m.
Shop two enclosed markets with handmade crafts and gifts, seasonal vegetables, meats, cheeses, baked goods, local wine, and prepared food. There will also be live music, Santa Claus and a petting zoo with pony rides. Bring a new, unwrapped toy for a boy or girl to donate to Mason’s Toy Box. 3421 Hawthorne Ave., 10 a.m.-5 p.m. This popular show hosted by Diana Vincenti of Bad Girl Art features many local artists and craftspeople who will be showing and selling their creations just in time for the holidays! Shop over 50 of the best crafters, artists, and makers. Half the our vendors will be there on Saturday and Sunday, and half will be there for one day only, so be sure to stop by both days to see lots of amazing new art and gifts. On Saturday, for a $5 donation to our non-profit partner Big Brothers Big Sisters, shoppers gain early access to shop at 10 a.m.
Shop new and exciting Richmond-based, women-owned brands in this new woman-owned shop. Vendors include Loose Ends Embroidery, Anther jewelry, Strawberry Fields Flowers & Finds, and event co-sponsor Here Weekly – Richmond. Enjoy snacks and sip on Belle Isle Moonshine cocktails while you shop. The Urban Roost, 11 a.m.-4 p.m. The Brunch Market is popping up every Sunday in December for your shopping pleasure. Check the website for a list of vendors each month. Of course, also enjoy breakfast and libations while you shop. 10% of sales will go to Mary Munford. Hours are also extended. Stop by for one-night-only deals and discounts. 10% of sales will also go to Greater Richmond SCAN. Schwarzschild Carytown, 10 a.m.-6 p.m.
Shop the famous caviar bracelets (I’m accepting them as gifts!) and other special creations. 17th Street Farmers’ Market, 4-7 p.m.
Shop local farmers, seasonal products, specialty vendors, artisans, music, and more. Stop by The Broad, learn what it’s all about, and shop 14 local broads. Perfect! Shops at 5807, 4-7 p.m.
Stop by and shop. Let them know you are shopping for The Doorways at checkout and 10% of sales will be donated. Hours are also extended. Ignatius Hats, Friday 11 a.m.-5 p.m., Saturday-Sunday 12-5 p.m. There will be holiday specials on hats, refreshments and tours of the designers’ home and studio. FEW Made Jewelry will also be there. Shop French macarons, cookies, cakes, pies, tarts, mousse bombes, pops, trifles, meringues, whoopie pies and more holiday sweet treats. They will also feature an exhibition of vintage miniature toy kitchens AND a real life working miniature kitchen from a local mom and daughter YouTube duo! Sweet Fix staff will also exhibit paintings, prints and vintage style Holiday wreaths for purchase. The Veil, Friday 4-10 p.m., Saturday-Sunday 12-6 p.m.
RVA’s one stop holiday shop, where you leave with gifts wrapped! Plus beer, food trucks and holiday spirit. There will be 45+ vendors over the three days. ART 180 is opening its 5th annual pop-up market featuring art, jewelry, crafts, and handmade goods by local artists just in time for gift giving season. At the opening, shop one-of-a-kind finds while dancing to DJ beats and eating tasty treats by Soul n’ Vinegar. Shop 13-15 local vendors, enjoy live holiday music and delicious beers flowing all day long. Ashland Meat Co. at Cross Brothers, 10 a.m.-3 p.m. There will be a variety of local artists, craftsmen, and makers set up for all of your holiday shopping. Also enjoy baked goods from Whisk and warm coffee for purchase while you shop. There will be art from scores of local makers, a grilled cheese & tomato soup bar, portraits with a vintage camera and holiday cheer. What more could you ask for? Blue Bee Cider, 12-5 p.m.
Blue Bee’s annual holiday shopping event returns with new vendors and new drink specials suited to the cold weather. Shop unique artisan gifts made by with this merry and bright group. Courthouse Creek Cider Scott’s Addition, 12-5 p.m.
Sip on rustic cider while holiday shopping from the local vendor/artisans, and listen to a Christmas Jazz Duo in the tasting room. There will be hot mulled cider to keep you nice and toasty, too. Want to create your own holiday decor? Barnwood New will be on site all day with custom templates ready for you to create your own rustic sign! Shop over 15 local vendors with handmade and vintage finds. Plus, five local vendors have created seasonally appropriate designs that can be printed on all sorts of items before your eyes during the event. There will also be live music, a toy drive (bring new, unwrapped toys), libations, an art show, and more fun. APOTHEC, day hours 11 a.m.-5 p.m., event 7-9 p.m. Discover new brands, wellness and beauty services. Receive a gift and 10% off purchases. Hors d’oeuvres and Libations will be served. Studio Two Three, 11 a.m.-4 p.m.
Art form over 40 local makers, a grilled cheese and tomato soup bar, and portraits with a vintage camera will bring holiday cheer. La Petite Boutique, 12-3 p.m.
Stop by to celebrate La Petite Boutique’s first year with bubbly, live music (David Uziel) and Helen Shiplet), holiday coupons, Mandi Haas jewelry, Becky Premock from Beautycounter and Katherine Benner beauty. Get started on your local holiday shopping while enjoying your favorite vegan eats. Hardywood has teamed up with the Richmond VegFest to bring you an indoor market full of local makers, artisans, and business owners that have a commitment to animals, wellness, recycling, and the world. The Vintage is for Lovers RVA Holiday Market will gather some of Richmond’s best vintage vendors, artists and makers. This unique shopping experience is also for a good cause. $5 tickets get you in and 100% of the ticket proceeds will go to Family & Children’s Trust Fund of Virginia (FACT). FACT amplifies community programs focused on the prevention of family violence and the protection of children and older adults across Virginia. Buy tickets online or at the door (cash and credit cards are accepted). There will be a cash bar so you can sip while you shop. Shop ten local vendors with live music, libations and Quirk’s fab holiday decor. Stop by and shop. Let them know you are shopping for Saint Gertrude/Benedictine School at checkout and 10% of sales will be donated. Hours are also extended. Rituals Salon & Spa, Friday 9 a.m.-6 p.m., Saturday 8 a.m.-4 p.m.
Stop by the salon and spa’s annual shopping event for promotions, giveaways, raffles, goodies, and more. Historic Old Towne Petersburg, 9 a.m.-1 p.m.
Head to River Street for a special blend of gift items, produce, special treats, and more. You will also be able to pick up fresh greenery, wreaths, and poinsettias. Lickinghole Creek Craft Brewery, 12-6 p.m.
Head out to the farm for holiday shopping with local vendors and artists. There will also be a food truck and live music. Dogs and kids are welcome. Stop by for loads of amazing vendors offering Richmond’s most unique crafts, art, jewelry, plants, apparel, tarot readings, herbal healing, magic craft supplies, vintage wear, housewares, plants and handmade botanical products. Three Mollys will be selling their original creations. Molly Sanyour will have ceramics. Molly Virginia Made will be showcasing her beautiful leather creations. And, Molly Covert of Rabbit Foot Fern Design will have stationery and gifts. Chairlift at Brenner Pass, 4-8 p.m.
Stop by for hot chocolate with Chartreuse, Aperol Spritzes, mini buche de noels, and local makers. Also, bring an unwrapped toy or gift for a child up to age 18 for Connecting Hearts VA.
Clayworks Supplies, 10 a.m.-5 p.m.
Stop by for a pottery show and sale featuring 18 of Richmond’s finest potters. Iridian Gallery at Diversity Richmond, 7-10 p.m.
Bling it Out 2 features a slew of juried artists, each invited to select objects from event partner Diversity Thrift, and transform those objects into works of art. Those works will be exhibited, and then auctioned during the Bling it Out 2 party on Sat. Dec. 15, with proceeds benefitting Iridian Gallery at Diversity Richmond. Last time, the quality was so great, every piece sold. Entry is free; tickets cost $10. Visit the new Ramsey workspace and purchase art at affordable prices. 3200 W. Cary St., 10 a.m.-5 p.m.
Stop by this 7th annual holiday event for unique handmade gifts and goods, food trucks, over 70 vendors, and live music. The Savory Grain, 5:30-8:30 p.m.
It’s a gift wrapping party, complete with all wrapping supplies, beautiful paper by Riot + Revel, ribbon, bows, baubles and tags for one-of-a-kind gift decorating. All you have to provide are your boxed gifts. Ethereal Calligraphy will also be on-site to hand-write calligraphy gift tags for you. Tickets cost $35 and include your supplies. Get them here. Doing some last minute shopping? The studio will have cider, cookies and lots of locally made gifts to help you finish up your holiday shopping. Create a gift box, find some stocking stuffers or let us help you find that one perfect gift. Phoenix Handcraft, 10 a.m.-5 p.m.
Stop by the Scott’s Addition studio for last-minute gifts all day. 6110 Lakeside Ave., 9 a.m.-12 p.m.
Get the best handmade local gifts for your loved ones and all-natural, healthy eats for your holiday feast at Lakeside’s Holiday market! Join local, women-owned boutiques for a pop-up. There’ll be something for everyone on your list, including clothing, accessories, beauty, skincare, jewelry, bedding, blankets, candles and more. Not to mention great specials and giveaways. Shop gifts and party clothes. Plus, sip bubbly while you browse. 30% off holiday in select shops starts Saturday. Hardywood West Creek, Friday 4-10 p.m., Saturday-Sunday 12-6 p.m.
RVA’s one stop holiday shop, where you leave with gifts wrapped! Plus beer, food trucks and holiday spirit.